Bug spray is perfect for hikes, outdoor activities, and camping, but you shouldn't have to use it on your own balcony. Here at 66 Isabella, our large private balconies are like an extension of our suites, and we want our residents to feel comfortable in their outdoor space. Take back your balcony and evict those annoying bugs with these great bug deterrents. In efforts to rid your balcony of bugs, it's important to eliminate anything that will attract them. Standing water is a breeding ground for mosquitoes, so check your balcony after the rain to remove any water left from the weather. Gnats are attracted to fungus and molds, which can form from overwatering. 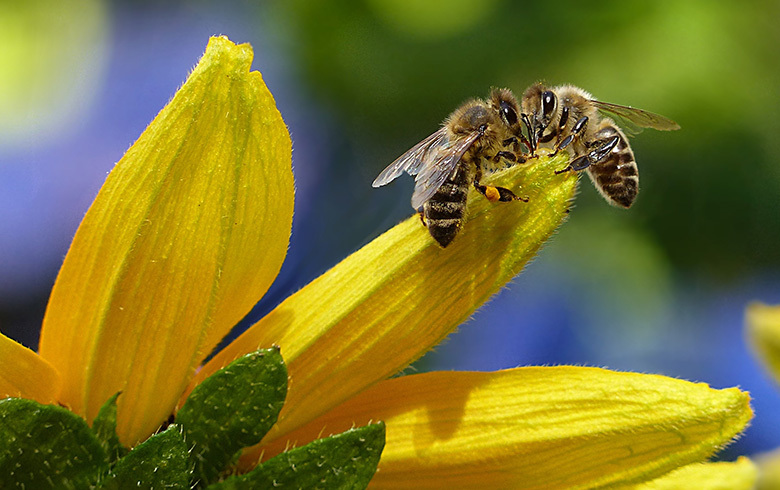 In contrast, bees love everything sweet, so when dining on your balcony, cover any sweet drinks and foods. Another great way to eliminate bugs from your balcony is by adding plants. The scent of some plants will deter insects while making your balcony look fantastic! Adding an herb garden to your balcony can help deter mosquitos, spiders, bees, and flies from hanging around while also providing you with some delicious ingredients for baking and cooking. Beneficial herbs include mint, basil, lavender, rosemary, bay, and oregano. Decorate your balcony with flowers! The best flowering plants to add to your balcony include marigolds, geraniums, chrysanthemums, and petunias. With these flowers in bloom, you shouldn't see many mosquitoes, beetles, whiteflies, ants, or ticks. Carnivorous plants are another great addition to the balcony. These plants need water, sunlight, and insects to live. Pitcher plants are tube-like plants that consume insects when they fall into the slippery leaf rims. Venus fly traps consume insects by rapidly closing their traps around their prey. Sundew plants have sticky leaves that attract insects and close around them. Any of these fascinating plants will help keep those unwanted bugs away! Enjoy a bug-free balcony when you strike back with these simple solutions!